This is quick 5 AM rant on lowering expectations and grocery shopping. Please be sure to subscribe for the latest info and tell a friend. Enjoy! 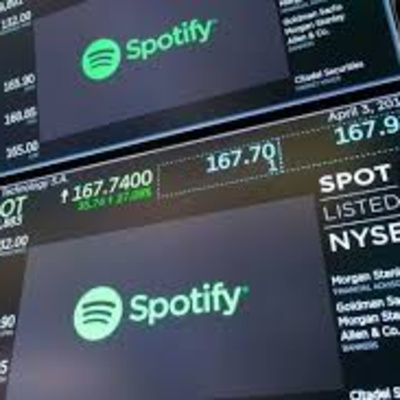 Question: What Does The Spotify Acquisition Mean? Just one man's opinion of what Spotify's acquisition means for podcasters. 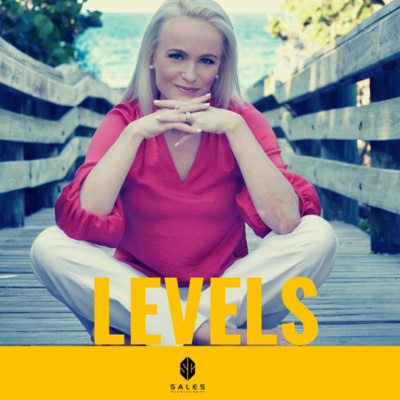 In this episode, I had a great sit down with a high-performance coach, fascia expert, supplement pioneer Barbara Depta. 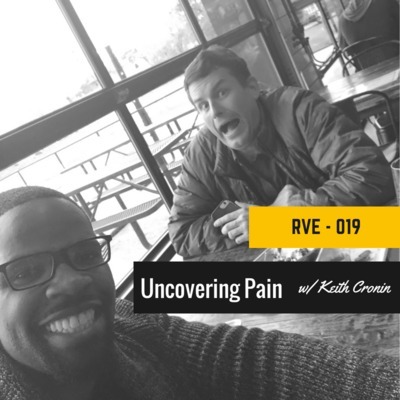 We discuss how emotional pain can manifest itself as physical pain, growing a business with integrity and staying true to your passion. Review Medical Economics article on Balancing repayment and rewarding hard work for healthcare providers. Qazi and I share our experiences in the sensory deprivation tank. In this 2 minute rant, I discuss the importance of building an audience first over straight selling. In this episode, I hang out with the Cleaver Programmer. We discuss scaling an online business, deep meditation, establishing business models. Website: www.cleverprogrammer.com/ Twitter: twitter.com/JuntaeDeLane InstaGram: www.instagram.com/cleverqazi/ Thanks for listening to the Real Value Exchange Podcast - where we explore Turning Sales from mere a transaction to empowering moments. My thoughts on why I chasing too many opportunities and collaborating with competitors. Episode 110 - What's your podcasting goal? To all my podcasters out there. What's your goal? onsidering starting a podcast? This is a must listen to conversation with the Founder of Renzler Media, Skyler Irvine, Skyler Irvine. IG: https://www.instagram.com/skylerirvine/?hl=en Website: http://www.skylerirvine.com/ Music Credit: Delly Everyday - https://www.instagram.com/dellyeveryday/ Audio Credit: Thomas Murphy - https://www.instagram.com/tmtsystems/ ReSync: https://redsyncyourcore.com/joe-lemon/ Website: www.JoeAlexlemon.work/ Instagram / Twitter: @JoeAlexLemon Thank you for listening to the Real Value Exchange Podcast - where we explore turning Sales from mere a transaction to empowering moments. 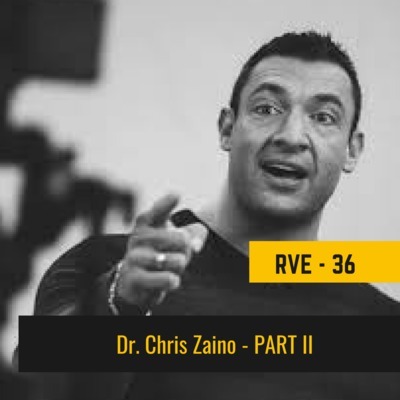 This is my favorite of the 3 part series with Dr. Zanio. What's your thoughts??? 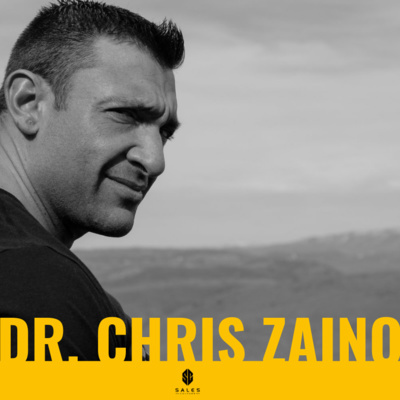 Here's a quick clip from Part 2 with Dr. Chris Zanio. Listen to the full episode on the Real Value Exchange Podcast on Soundcloud, Spotify, or iTunes. Current State of media with Jeff Turnbow. Enjoy Jeff Turnbow Website - https://www.jeffturnbow.com/ Music Credit: Delly Everyday - https://www.instagram.com/dellyeveryday/ Audio Credit: Thomas Murphy - https://www.instagram.com/tmtsystems/ ReSync: https://redsyncyourcore.com/joe-lemon/ Website: www.JoeAlexlemon.work/ Instagram / Twitter: @JoeAlexLemon Thanks for listening to the Real Value Exchange Podcast - where we explore turning Sales from mere a transaction to empowering moments. 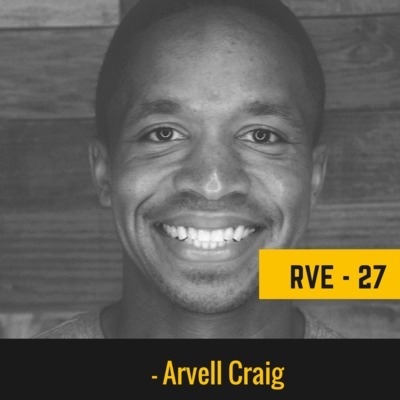 Really enjoyed this conversation with Arvell Craig. We discussed everything from marathon training, finding your voice as an author to how everyone an implement chat bots. 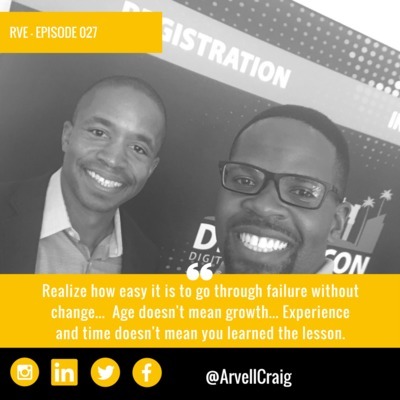 Arvell Craig is a marketing consultant, coach and entrepreneur. Since 2001 he’s been actively helping businesses with digital marketing. As an early adopter of chatbots technology, Arvell helps companies create messenger funnels that take leads on interactive journeys to become qualified opportunities. Arvell’s company Chatbot Funnels, partners with digital marketing agencies to help them leverage the power of messenger marketing for their customer acquisition campaigns. 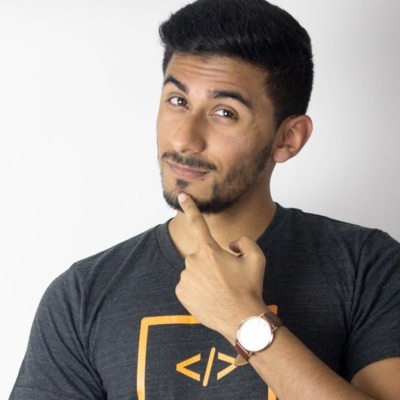 Great sitdown with the Rafeh Qazi aka the Clever Programmer. Rafeh Qazi @CleverQazi- https://www.instagram.com/cleverqazi/?hl=en Music Credit: Delly Everyday - https://www.instagram.com/dellyeveryday/ Audio Credit: Thomas Murphy - https://www.instagram.com/tmtsystems/ ReSync: https://redsyncyourcore.com/joe-lemon/ Website: www.JoeAlexlemon.work/ Instagram / Twitter: @JoeAlexLemon Thanks for listening to the Real Value Exchange Podcast - where we explore turning Sales from mere a transaction to empowering moments. 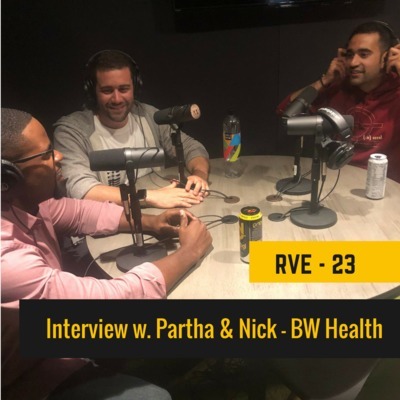 PART 2 - Great sitdown with Parth and Nick from BW. We discuss the importance of innovation, Atlanta's startup scene, and hip-hop's impact on today's culture. 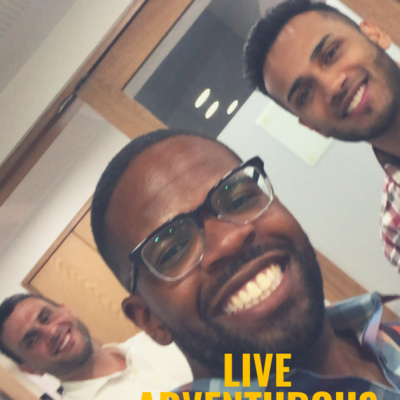 Connect with Partha Unnova: Instagram: @officialpartha LinkedIn: https://www.linkedin.com/in/parthaunnava/ Connect with Nick Cinquino: Instagram: @NCQNO LinkedIn: https://www.linkedin.com/in/nicholascinquino/ Website: www.JoeAlexlemon Instagram / Twitter: @JoeAlexLemon Thanks for listening to the Real Value Exchange Podcast - where we explore Turning Sales from mere a transaction to empowering moments. Quick rant about what I've learned about giving from the guest on the Real Value Exchange Podcast. Great sitdown with Parth and Nick from BW. We discuss the importance of innovation, Atlanta's startup scene, and hip-hop's impact on today's culture. Connect with Partha Unnova: Instagram: @officialpartha LinkedIn: https://www.linkedin.com/in/parthaunnava/ Connect with Nick Cinquino: Instagram: @NCQNO LinkedIn: https://www.linkedin.com/in/nicholascinquino/ Website: www.JoeAlexlemon Instagram / Twitter: @JoeAlexLemon Thanks for listening to the Real Value Exchange Podcast - where we explore Turning Sales from mere a transaction to empowering moments. 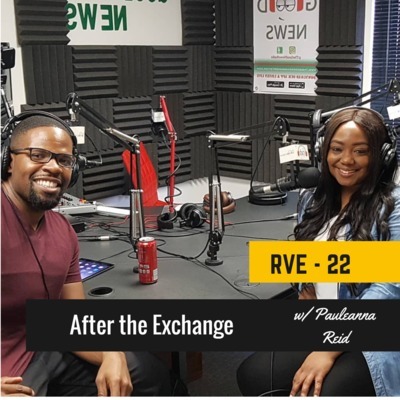 In this episode, I recap the conversation with Pauleanna Reid. We discuss people's expectation exceeding their effort and the doing the work behind the scene. 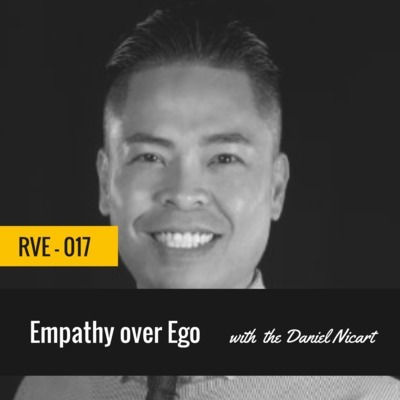 In this episode, I sit down with Daniel Nicart to learn how he developed empathy at a very early age to excel in sales. 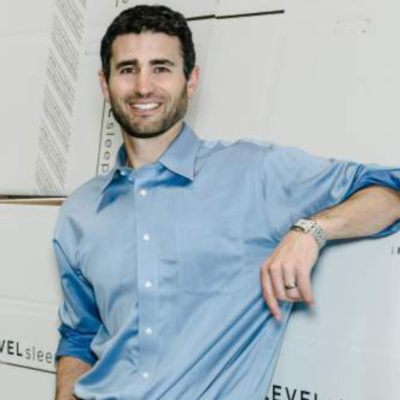 Daniel is an active award-winning sales manager, sales trainer and host of the Daily YouTube show “Breakfast of Champions” where he teaches people how to Sell yourself on developing the Mindset. In this episode, I share how I met randomly Randy Carlton in a hotel gym and we tapped into each other's passions within less than 5 mins. Let's Connect: Website: www.JoeAlexlemon Instagram: @JoeAlexLemon Twitter: @JoeAlexLemon Thanks for listening to the Real Value Exchange Podcast - where we explore Turning Sales from mere a transaction to empowering moments. 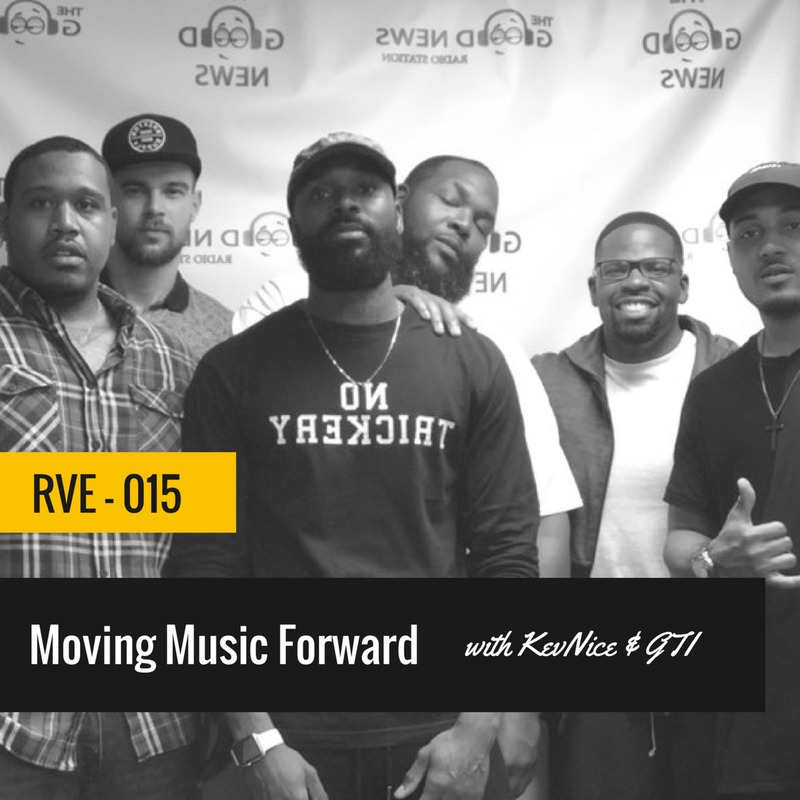 In this episode, I with up-and-coming hip-hop artist Kev-Nice and GTI team. Kev-Nice is a Harlem, New York native. He shares what a day in the life of an artist and hard work needed to break through the noise. Connect with KevNice Matter video: https://youtu.be/bqoAC_xOcmQ Connect with KevNice Instagram: @KevNiceGTI Audio Credit: Thomas Murphy @TMTSystems Let's Connect: Website: www.JoeAlexlemon Instagram: @JoeAlexLemon Twitter: @JoeAlexLemon Thanks for listening to the Real Value Exchange Podcast - where we explore Turning Sales from mere a transaction to empowering moments. This is my most tactical episode yet on social selling! 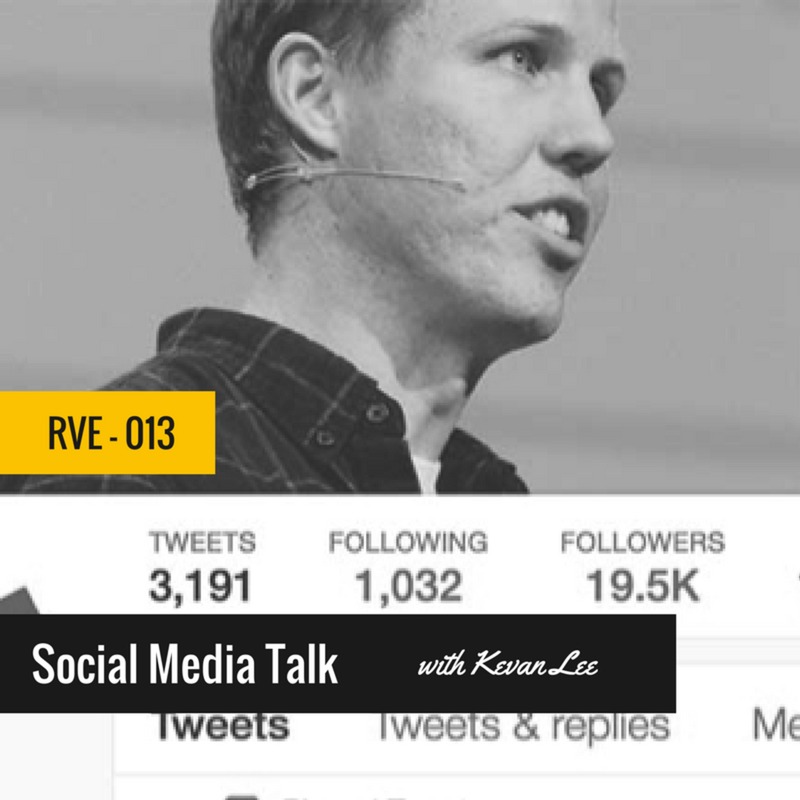 Had the honor of speaking with the Marketing Director at Buffer, Kevan Lee. Buffer is a social media management tool that has personally saved me a ton of time. Check out this quick two minute rant on how commonsense is the foundation of high performance. in this episode, why you should trust the process, changing vehicles, and staying true to the main thing. This episode I discuss how professional performers don’t require immediate compensation and embracing conflict for growth. In today's rant, I reflect on the difference between amateurs versus professionals. Let's Connect: Website: www.JoeAlexlemon Instagram: @JoeAlexLemon Twitter: @JoeAlexLemon Thanks for listening to the Real Value Exchange Podcast - where we explore Turning Sales from mere a transaction to empowering moments. World class champions remember their roots. Revisiting their climb to the top reinforces their belief and give them more confidence to move forward. In this episode I discuss the importance of staying curious, working with independent reps, and trusting your gut. Growing a business should be a mutual exchange that leaves both parties empowered. I hate the stereotypes of salespeople have earned over the years... You know the sleazy, fast-talking, ego-driven salespeople that leave you with buyers remorse. Don't get me wrong I love closing deals and cashing commission checks, but more importantly, I value real relationships and my legacy. 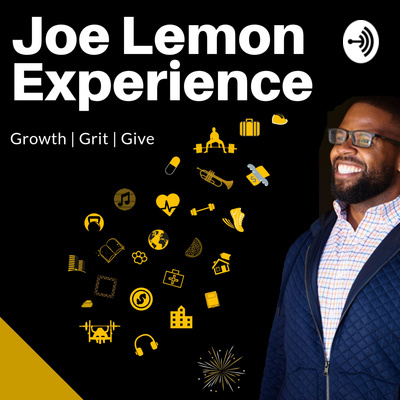 Let's Connect: Website: www.JoeAlexlemon Instagram: @JoeAlexLemon Twitter: @JoeAlexLemon Thanks for listening to the Real Value Exchange Podcast - where we explore Turning Sales from mere a transaction to empowering moments. Rick Ross tribute. Including more conversations around health and wellness. Chris Estrada is on a mission to influence and drive 1 Million people to pursue their passions and develop success through joining a local coworking community. Chris hosts a weekly podcast, Coworking Success, where he features coworking success stories mixed in with other amazing business success stories. Chris’ background includes 5 years of marketing/brand strategy consulting, 10 years event management and 3 years of coworking industry experience. 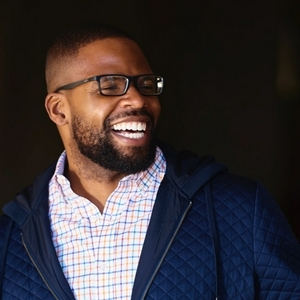 Chris is one of the fastest growing thought leaders in the coworking industry. Chris also collaborates on the commercial real estate side with mixed-use developments. When Chris isn’t selling commercial real estate or podcasting, you can find him riding his mountain bike on one of the many mountain bike trails in Atlanta, Georgia. In this episode I discuss how having an inbound strategy is not enough. In this episode I talk about setting goals in the Q4. My views on the importance of pushing positivity! Are you causing your clients to go into flight or fight mode? Welcome to follow up Friday where I get a chance to connect and thank everyone for their engagement! The dream isn't real until you close a deal! Do you believe college is necessary for sales professionals? Embrace the NO and learn from it... Are you getting enough no's? ABL "Always Be Leaving." The art of walking away from deals. How much time do you spend branding vs selling? Pre-conditioned stem cells improved tissue strength to levels comparable to intact tissue. Greater circadian disadvantage during evening games for the National Basketball Association (NBA), National Hockey League (NHL) and National Football League (NFL) teams traveling westward.